Yesterday, November 24th, New York Times published a large article directly pointing to the possibility that the Turkish Chess Federation paid for votes in order to win the Chess Olympiad 2012 bid. Turkey won the right to host the event in Istanbul in 2012 after a vote among delegates of the World Chess Federation at the Olympiad in Dresden, Germany, in 2008. TCF won against Montenegro, the other finalist, by a vote of 95 to 40. The news errupts more than 2 years after the decision of the delegates from Dresden 2008 to award the event to Turkey. The article comes just two days before the important TCF Financial Assembly. Here is the article excerpt followed by the statement sent by Ali Nihat Yazici to Chessdom.com. Whatever the merits of the Turkish proposal, it appears that its success was ensured by paying delegates to vote for it, and the price was $120,000, or 178,000 Turkish lira. 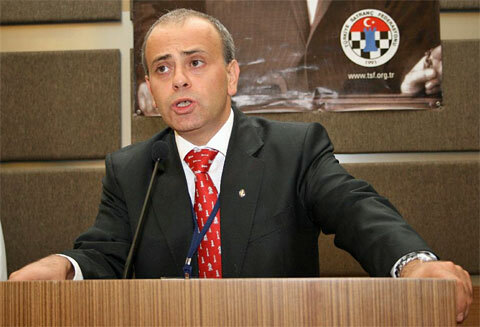 Ali Nihat Yazici, the President of the Turkish Chess Federation, sent a letter to Chessdom.com this afternoon presenting his point of view. I have read the NYT report saying that we got 2012 World Chess Olympiad by paying bribes to delegates, according to our own auditing reports. This claim is factually untrue. The Turkish Chess Federation spent around 178,000 Turkish Lira for the 2012 Olympiad Campaign in 2008 – which is not a very large sum when you are bidding for an Olympiad. The money was spent mainly for for our delegation’s travel and stay in Dresden, setting up and maintaining a stand in Dresden, the “Turkish Night” party, as well as gifts and souvenirs promoting the city of Istanbul. The Campaign was very successful: I would like to remind readers that the Turkish Federation beat the rival bid from Montenegro by 45 votes: 90 for Istanbul versus 45 for Budva.